When it comes to embroidered denim, fashion has leaned towards flowery and pretty of late—but 2018's topstitch trend is pretty much the opposite of that. Instead of pretty colourful embellishes to dresses, jeans, and tops, this is all about pockets and seams being highlighted by a contrasting colour. While the look might have its roots in workwear and a more utilitarian style, this year it's getting sophisticated. On the S/S 18 catwalks of Temperley London, Sportmax, and 3.1. Phillip Lim, there was plenty of purposefully visible topstitching to be seen on chic belted jackets and sundresses, in addition to the many brands getting behind the idea on denim. 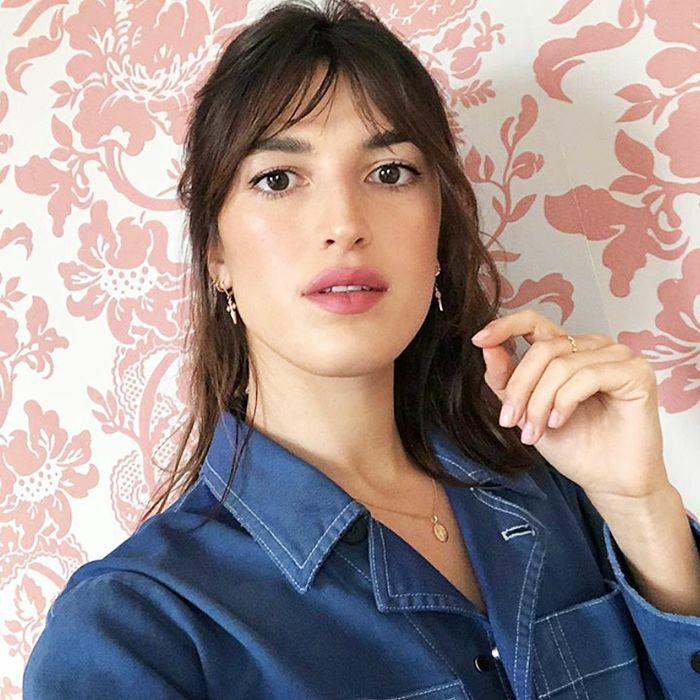 Our favourite French fashion influencer, Jeanne Damas, has also recently picked up on the subtle microtrend too, choosing a retro-look chambray shirt to share on Instagram. The best and easiest way to jump on this look is to invest in one of the many pairs of topstitched jeans we've spotted on the high street. If, however, you're looking for designer, fear not Calvin Klein and Miu Miu have also created their own versions. Keep scrolling to see and shop the new detail we're into. 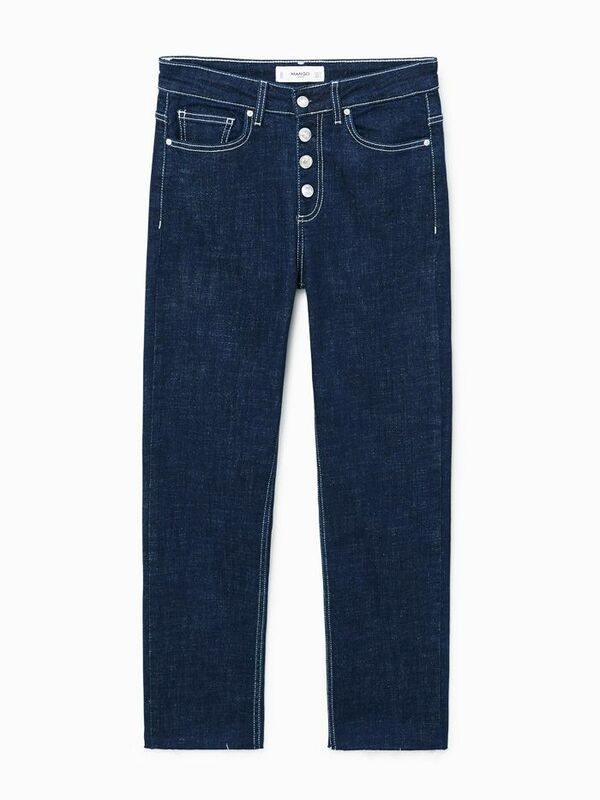 It's easy to follow this trend with Mango's classic jeans. These are so cool and such a bargain. Trust Topshop to come up with a version. Red stitching for a slightly different take on the trend. ASOS offers up another pair. Into white jeans? Miu Miu has you covered.